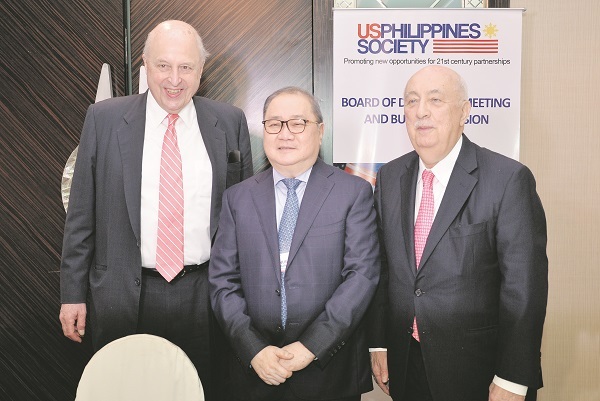 About this time last year, I wrote about the meeting of the Board of Directors of the US-Philippines Society that was held here in the Philippines. 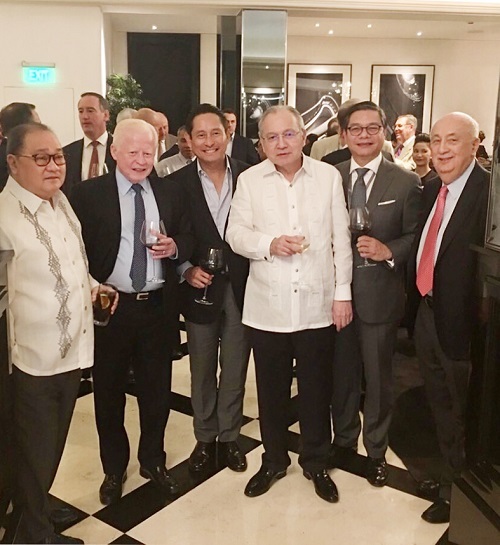 In that column piece, I wrote about how the holding of the bi-national Board of Directors meeting here was proof-positive that US-Philippines relations never waned, and that it had, in fact, become stronger, contrary to the seeming public perception then. 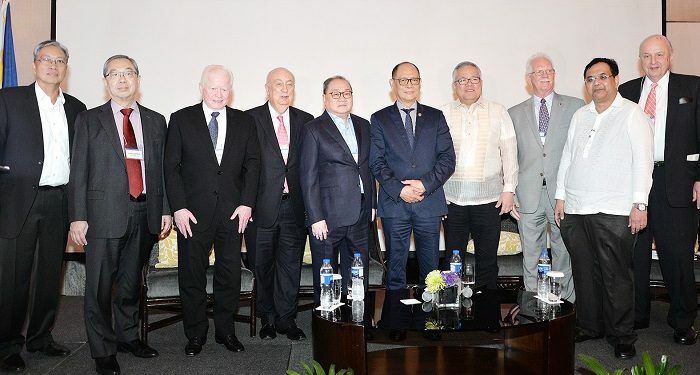 The Board of Directors Meeting and the Business Mission was an opportunity for business leaders from Washington D.C. and the Philippines to explore investments between both countries as well as discuss means to enhance cyber security and protection of OFWs. US-Philippines Society Board Directors, front row: Former Ambassador Jose L. Cuisia, Jr., Executive Director Hank Hendrickson, USPHS President Ambassador John F. Maisto, Ambassador Thomas C. Hubbard, Ambassador Sung Kim, Co-chair Manuel V. Pangilinan and Ambassador John D. Negroponte. Second row: Doris Magsaysay-Ho, Hilda Gigioli, Honorary Consul Henry B. Howard, Leonardo Canseco, Gerardo Borromeo. Back row: Ross Matthews, David Rappa, and Dennis Wright. By Presidential Photo. With headquarters in Washington D.C., the US-Philippines Society was launched on 01 May 2012 to “realize the vision of its founders to create a new and timely mechanism for elevating the Philippines’ profile in the United States.” It is recognized as the premier organization promoting U.S. and Philippine relations. 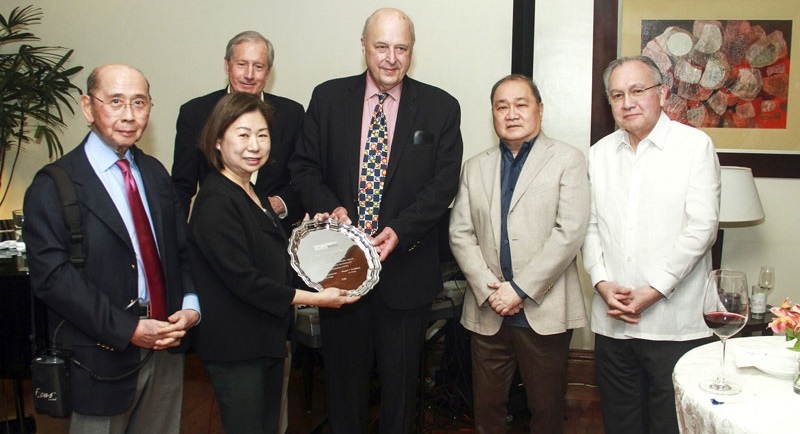 During the board meeting, the Society made an additional donation to recovery efforts for Marawi, and this was done through the Philippine Disaster Resilience Foundation (PDRF), an organization co-chaired by MVP and Jaime Augusto Zobel de Ayala. Tessie Sy-Coson receiving her 2018 Carlos P. Romulo Award from USPS Co-Chair Amb. John Negroponte while (L-R) Amb. 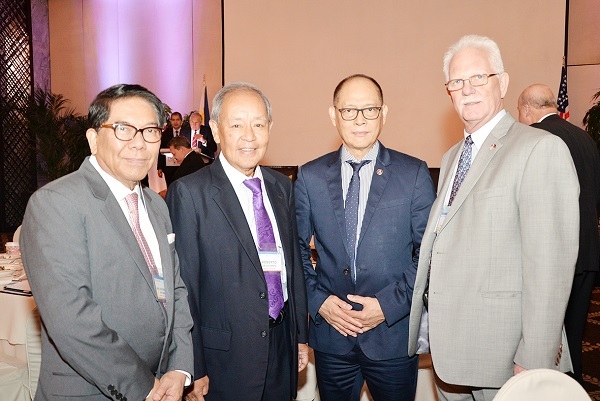 Roberto Romulo, USPS Executive Director Hank Hendrickson, USPS Co-Chair Manuel V. Pangilinan, and Amb. Babe Romualdez look on. First published by Manila Standard on March 19, 2018.